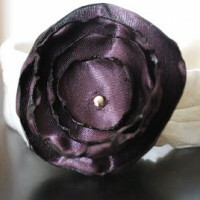 Here’s how I made my Singed Flower headband from last week. Several of you said you’d made tons of these, and I’ve only done a handful, so if you have a better way, helpful tips, or want to add something, let me know and I’ll add it in. I like to curl the edges a little by heating the sides too. Left is before singeing, and the right is after singeing. After all circles have been singed, stack them on top of each other. For this next step, find something heat resistant like a cookie sheet. 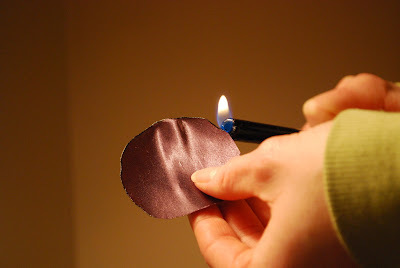 Heat a pin with the lighter for a few seconds and poke it through the center of the circles. Hot hot pin will melt right through. But the brad in the center. 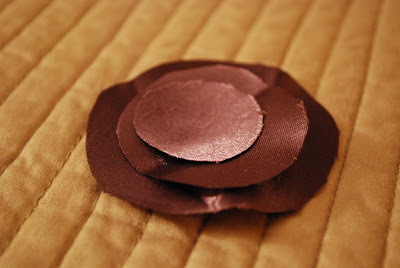 Use a low heat glue gun and glue a small piece of felt to the back of the flower. Singed flower is done! yay! 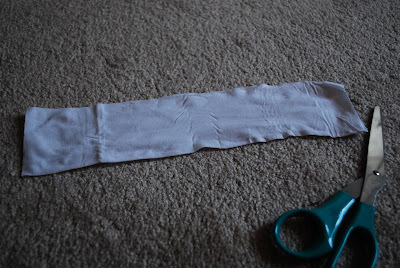 If you’re using a knee high, cut off the toe and elastic top. 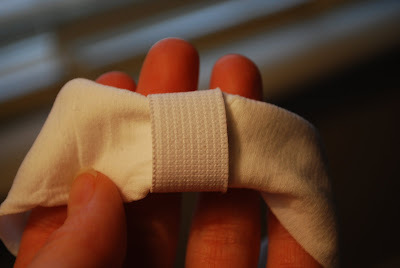 If you’re using baby tights, cut the toe off and then cut a 12″ section from the leg. 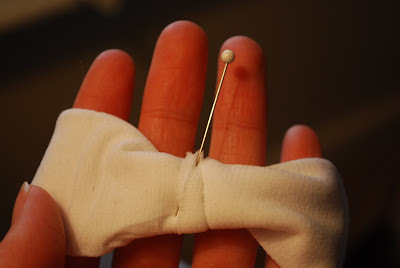 Sew ends together. 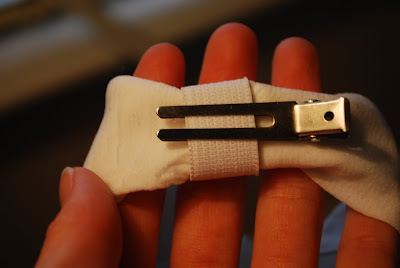 Will be stretchy, so it is easiest to start 1/4″ in and then back-stitch. 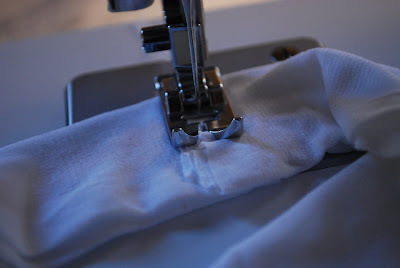 Next, pin down each side of the seam 1/2 way down. 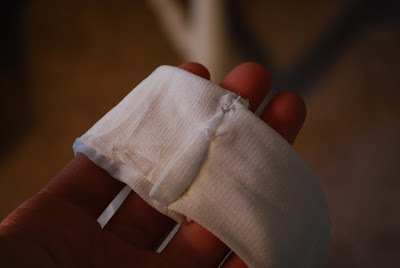 Then sew across. Should look something like this. 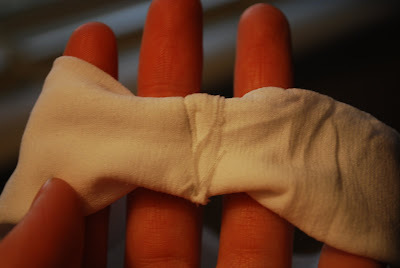 Then glue flower to the ribbon and you’re done! 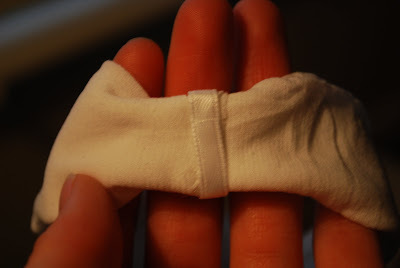 Hot glue a strip of elastic or ribbon around the seam but only glue one side to the headband, leaving one side with room to slip a clip through. 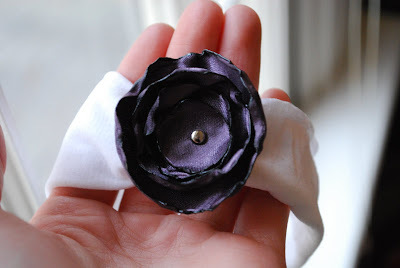 That way you can make different flowers and only have to make one headband. Just be sure to put your flowers on clips. Phew! That was a long one! Ok, now I’m going to watch Idol with Davis. This really turned out fantastic!!! What a great idea! 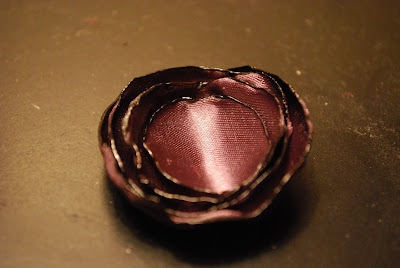 These are also cute with the flowers cut out in a loose flower shape, the petals curl individually. I'll post some in a couple days, do you mind if I link to your post? Thanks for the great tute. Your flowers look great! Great step-by-step tutorial…can't wait to try it. So fun! I seriously love making these as well. You make such fabulous things! Great tutorial, Linda!! :) Love those singed flowers! Thanks! 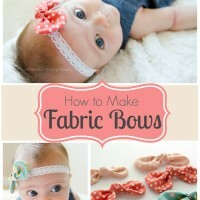 I may just try this out — they are sooooo cute! Thanks for the tutorial! I will get started just as soon as I get home from work! Thank you for the tutorial! Now I have presents to make for all the baby showers out here. 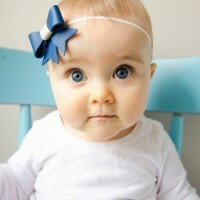 This is such a great idea, I love using a knee high for a headband, those baby headbands are so expensive. 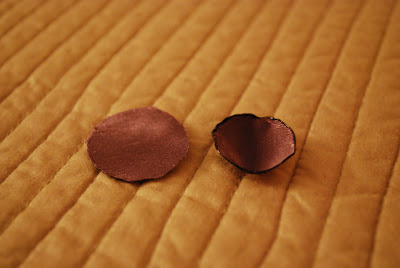 Do you have a heat gun like used for embossing powder? I'm thinking it would be hot enough to melt the edges of the flower and so much safer! I'm putting your blog in my favorites, I love it! EW! Thanks! I had to feature this! Thanks for a great tute! 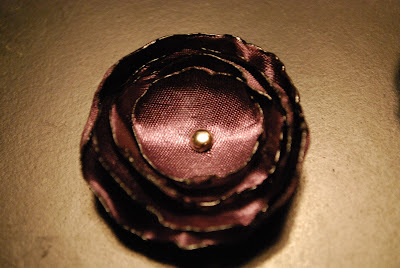 I hope it's OK that I put this amazing tutorial on my blog!! Thank you! 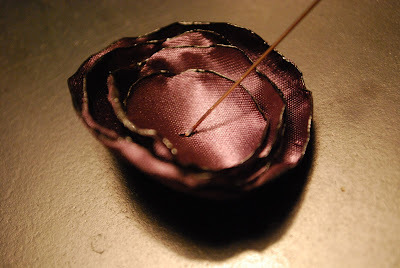 I've wanted to learn how to make these singed flowers since the first time I saw some! I love this headband!!! thank you veryvery much! 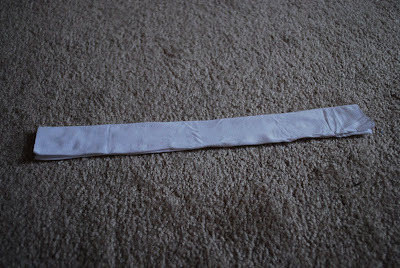 Instead of elastic to put around the center I put bias tape according to the color of the headband. It looks neat and nice. :) Love the flower by the way! Your tutorial is very easy to comprehend! My to-make list is getting longer. Thank you for this great sharing of tutorial! Hi! My flower is flat as a pancake. How did you heat the middle to make it curl? Thanks! 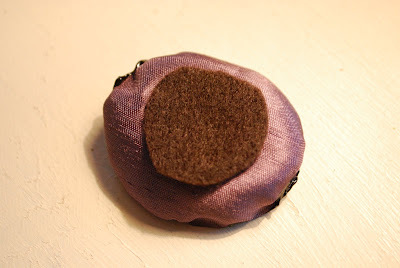 what a good idea with reusing nylons! where did you learn all of these fabulous things? I finally gave these flowers a try and I'm totally addicted!